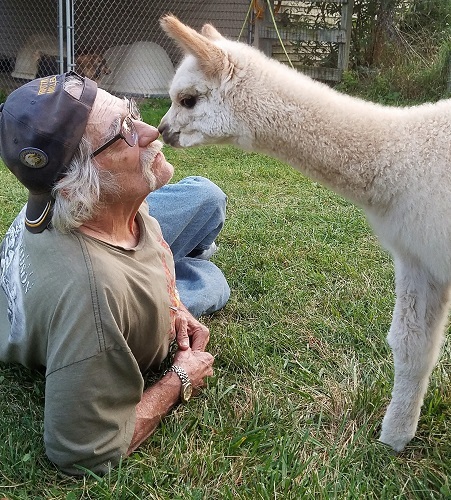 Mrs. Darcy is a very sweet, gentle girl with rich lustrous and dense brown locks. She is the daughter of 7x Color Champion Durango, who was sold and left the United States permanently in the fall of 2009. 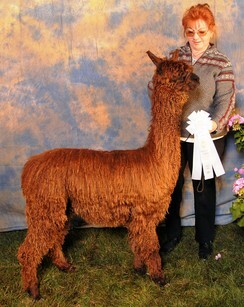 Darcy won Color Champion at her first show, a very impressive beginning! 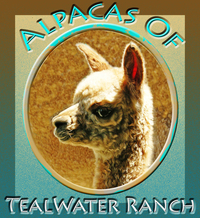 She was bred to Ameripaca's Jericho, the 2007 True Black AOBA National Reserve Champion, and gave us a beautiful male 2010 cria we named Tealwater Rockin' D-Jay - this cria shined like polished copper! Rockin D-Jay is a cool dude! Laid back like his mom, an easy keeper that gets along with other males. 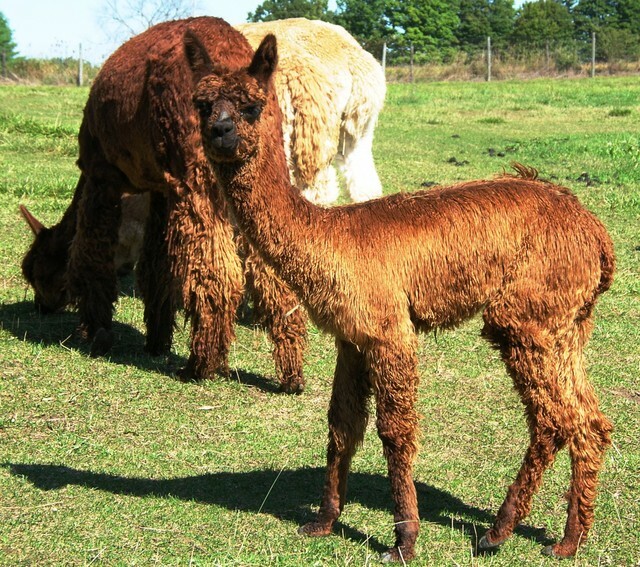 He still has beautiful luster and locks regrowth and should be used as a stud to pass along his great color genetics, beautiful luster and pleasing attitude.